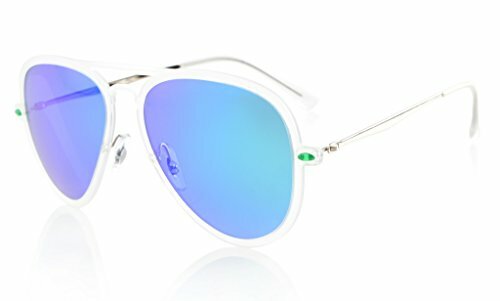 EYEKEPPER TITANIUM TEMPLE POLARIZED SUNGLASSES DESIGN: Eyekepper newest design creates a fashionable and powerful product; follows the latest style creating unique looks for mens and womens polarized sunglasses, offers a timeless model that combines great fashion styling with quality, performance and comfort. Protect your eyes with highly durable wrap-around lens and stylish frame. EYEKEPPER SUNGLASSES:Included a microfiber Pouch.Full UV400 Protection,Chrome Reflective Coat,Avoid dazzling reflex and scattered light making disordered lights parallel.Eyekepper newest design creates a fashionable and powerful product; follows the latest style creating unique looks for mens and womens polarized sunglasses, offers a timeless model that combines great fashion styling with quality, performance and comfort. Protect your eyes with highly durable wrap-around lens and stylish frame.